Archangel Raziel is like the wizard and alchemist of the Archangels as he holds the key to unlocking many of the secrets and mysteries of the Universe. Raziel is also a master of transforming knowledge into wisdom. Raziel views reality with a full understanding of God and of the Universe, and he can help you to see underlying patterns in your life along with new opportunities, and the magic which is present in the moment. Connecting with Raziel is like uncovering the mysteries of life… He will help to hone your sensitivity and open your psychic abilities so you can more fully understand your gifts, your path, and your authentic soul purpose. Raziel shines light into darkness and is usually most connected with those whose purpose on some level involves abstract or or metaphysical concepts, ideas, and principles like sacred geometry, manifestation, divine magic, alchemy, quantum physics, numerology, astrology, the true nature of time, telepathy, remote viewing, ley lines, the crystalline grid, and awareness beyond the physical… But with love, kindness, and consistency Raziel will help and guide all who call upon him. Archangel Raziel is neither the easiest or most challenging Archangel to tune into, though sometimes people miss his presence and just enjoy the bursts of creativity, extrasensory perception, increased faith and knowing which come as a result of his presence. 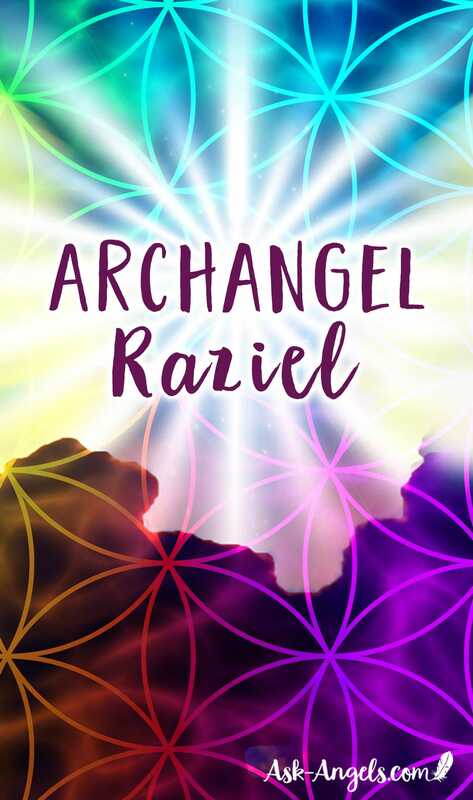 A key sign Raziel is connecting with you is seeing rainbow flashes of light… As this is one of his main calling cards, or signs to let you know he’s with you. But for many people, his presence does just feel like a subtle positive influence in areas of spiritual growth, study, and understanding the secrets of the universe. In addition to uncovering mysteries, opening psychic gifts, and expanding creativity Raziel will help you to see, and learn to love your shadow self, and all that you are. He brings light to your challenging traits and experiences, helping you to see the bigger picture and the bigger blessings unfolding as a result of all the magical moments accumulating in your soul history. Raziel see’s and can help you to see how all of your soul’s experiences have meaning and he can help you transform past pain, memories, hardships, and trauma into power you can utilize to accomplish your present life purpose. Raziel is also an expert at dissolving blockages, and removing obstacles preventing you from living your highest and greatest truth in this lifetime now. To begin working with Archangel Raziel… Start by inviting him into your meditation and spiritual practices; You can also ask him to clear your mental, spiritual and energy bodies of any fear or blockages, so you can more fully step into your authentic truth. If you’re having trouble understanding an abstract concept, or synthesizing concepts or modalities in a way which works for you, Raziel is the perfect ally to call upon for help! And of course, working with Raziel to open your psychic abilities is a great way to increase your connection with this kind, intelligent, and wise archangel, who will help you to step more fully into living in alignment with your unique spiritual gifts. Raziel will help you to experience life from a perspective that is beyond illusion and that is in alignment with your authentic deep and profound connection with the Divine and all of life. Are you ready to start experiencing the oneness, magic, timelessness, and beauty of all of creation so you can progress in the direction of your highest truth? 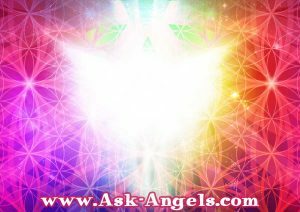 If so, you may be ready to connect with Archangel Raziel who will help you to take a step towards perceiving the underlying love present within each and every moment. Archangel Raziel is sometimes known as Archangel Ratziel, Saraqael, or Suriel. Get Started Connecting with Raziel Now! Thank you, I so enjoyed my experience. I believe in angels. Please help to learn more.